Yes, I haven't updated my blog in over a year. Yes, I've neglected it. Very wrong of me. 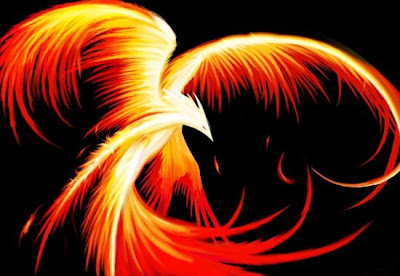 One thing is for certain... like the legendary Phoenix, this blog is rising from the ashes! There's a new layout, and new articles related to even more subjects will be coming in! Over the course of a year, new subjects and old have come into my life, and now I've got THAT MUCH MORE material to blog about! It's going to be VERY exciting to revive the blog, and I hope everyone out there is looking forward to it!